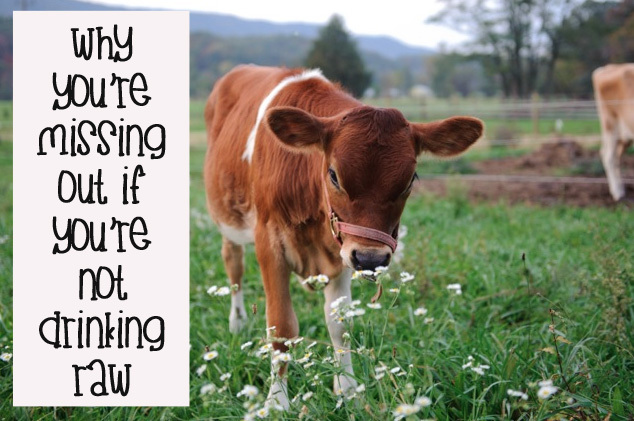 Why do we drink raw milk!? People ask me why we drink raw milk. I will tell you our story. Adam and I grew up drinking raw milk, he grew up Amish and they almost all drink milk right off of the farm, (yikes, and they’re still alive! and we were poor with 5 children and more land than money. I drank raw milk until we moved at the age of 13. We had a wonderful smaller type Jersey. When we got married we did not know the value of grass-fed dairy, let alone raw, so we did not make any attempt to obtain it. In fact, Adam being very much into healthy eating, believed that we should not drink milk at all. There was a belief within health circles for a long time that milk was not good for you and that it would cause all kinds of problems such as lactose intolerance, congestion, mucous, emotional volatility, etc. Amazingly, no one caught on that all those symptoms seem to arise from pasteurized, homogenized milk, not raw grass-fed milk. In our personal family we had three who couldn’t drink milk, or so we thought, for over 15 years. One would get very phlegmy and congested, one would get very volatile, (He was an easy going guy until he drank milk and the next day he was a bear! We had a joke in our house that if he drank milk today, he went to work with his Dad tomorrow :), and our daughter was lactose intolerant. In fact, it took her three months or so before she would even try one sip of raw milk. In my case, I could not drink milk with bovine growth hormones but seemed to “tolerate” store milk without the hormones. About eight years ago, we learned thru the Weston A Price foundation (please please peruse their site and bookstore, it will change your health!) that it was probably not the milk itself but what we were doing to it. So we visited a neighboring state and a friend gave us three gallons of raw milk. Surprise surprise! We could drink it. I cannot tell you the amazement of discovering that. I am still not over the wonder of it. We made raw milk ice cream the other day! I wish you all could have come over for a bowl – it WAS amazing and I didn’t feel one bit guilty. Since then, my daughter’s cavities which she could not get under control although taking extremely good care of her teeth and eating VERY little sugar, are under control. 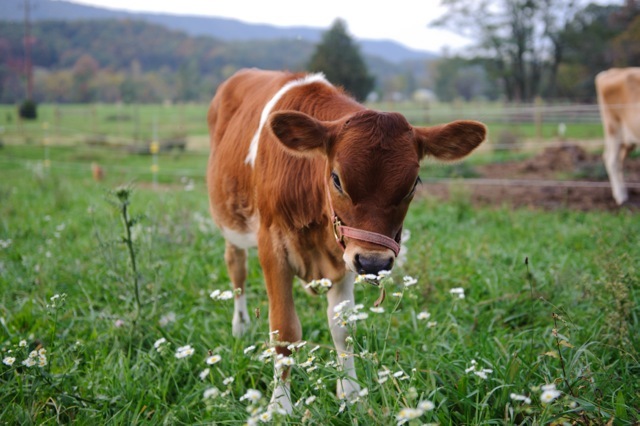 In fact, she has gone from cavities every six months to none in 10 years since drinking raw milk. We feel healthier, stronger, and need less sleep. My joints got dramatically better as well. And best of all, we can now have ice cream 🙂 Did I say amazing!? 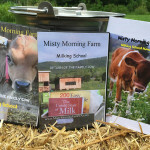 I honestly cannot find words to express the goodness we receive out of having all the raw milk products we can use. Can you imagine making your own ice cream, yogurt, kefir, sour cream, cream cheese, cultured butter, 100’s of cheeses, AND raw whey to make lacto-fermented foods for all the probiotic benefits? We also have discovered that diluted milk is one of the best fertilizers we can use. We have been amazed at how our fields grow and all our gardens and fruits. Apparently, it feeds the microbes in the soil and raises the brix (a type of sugar) levels of the plants. As a result, insects like grasshoppers which don’t have a pancreas and can’t digest sugars leave. Did I say amazing yet ! We have other stories but I will keep this post short and sweet. Are you ready to take the plunge? OR find a herd share program that you can participate in to have access to this life giving food. Check out our Facebook page for updated pics and info. Look for the link on our pages.